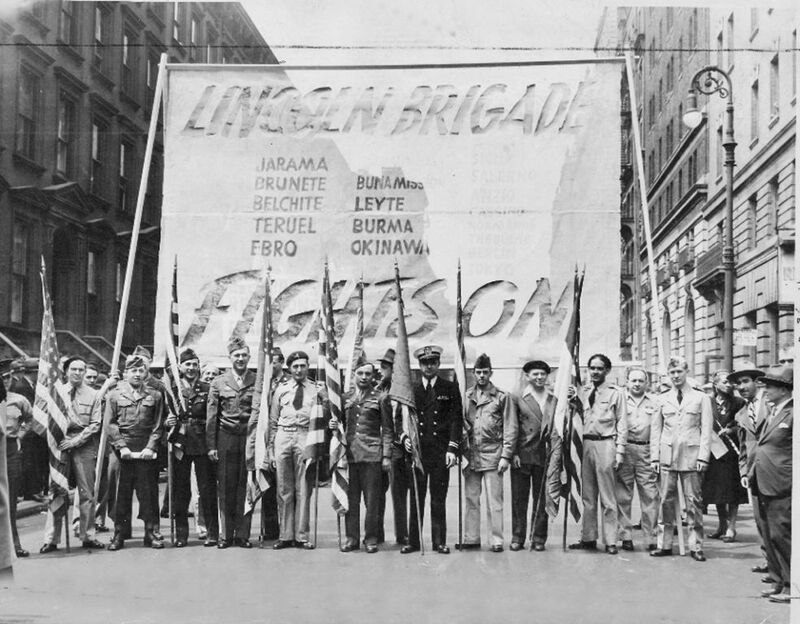 Lincoln vets in the 1946 New York May Day Parade. 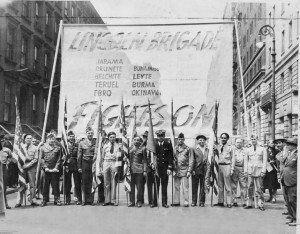 In the slide show we prepared for the Pete Seeger benefit concert last October, we incorporated a photograph of Lincoln vets marching in the 1946 New York May Day Parade. As it turns out, there is also moving footage of this parade. See the clip here; the Lincolns make there appearance around the 55-second mark and again around the 2’34” mark. My dad fought in Spain and I believe was with the Major Attlee battalion. Yet he always sang ‘There’s A Valley in Spain’ to the tune of ‘Red River Valley’. Which I have since understood to be a song of the Lincoln Brigade.Wish I had asked him about this and more when I could have. He went to Spain a Communist Party member and supporter of the USSR and Stalin. He remained so all his life until his untimley death in 1964.